Enter your zip code now in the free box on this page, to receive rates and quotes for personal health insurance from several top companies. Pyramid Healthcare does more than provide rehabilitation services, they also give life skills, and coping skill training so that when clients leave the rehabilitation centers, they are ready to reenter their lives having a set of skills that will assist them in the transition. Pyramid Healthcare has several locations in Western, Central, and Eastern Pennsylvania. Teen addiction and behavioral problems are both growing problems in the United States. Finding a quality, affordable rehabilitation center is difficult. 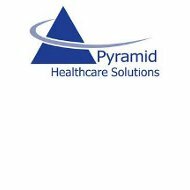 Pyramid Healthcare is an insurance program that covers the rehabilitation costs either completely or partially when done through their approved facilities. They also accept other types of insurance as well. Since not all teen issues are the same and not all teens need the same type of treatment, there are a variety of opportunities for teens in need. The most popular program is the Teen Drug and Alcohol Detox program. The program is medically supervised; with a conservative use of detox drugs to ease withdraw symptoms. Group and individual counseling are available as well. Each program provides behavior and issue specific treatments. Pyramid Healthcare accepts both voluntary and juvenile court state mandated treatment cases. For adults with addiction issues, Pyramid Healthcare has a variety of services available as well. All the facilities are separate so there is no interaction between the teen service centers and the adult service centers. The most used adult program with Pyramid Healthcare is the Drug and Alcohol Detox program. As with the teen program, some medication is used in the detox program. Sometimes individuals are not able to go through drug treatment on an outpatient basis. They need the constant supervision of trained professionals to get through the detoxification process or sometimes they have family at home that is unable to help them through the process. This is why Pyramid Healthcare also offers a halfway house and housing services for adult patients. For those who are addicted to heroin, opioids, and OxyContin, Pyramid Healthcare provides a Methadone Maintenance Treatment program. During the first 36 hours of withdrawal, methadone is administered under the supervisor of a medical doctor to ease the withdrawals and cravings that come with this type of detoxification. This is done on the campus of the Pyramid Healthcare facilities. Pyramid Healthcare offers admissions and assessment around the clock because the decision to get off drugs or alcohol doesn’t always happen between 9 and 5. Anyone calling the center will be asked a series of questions to determine if they are ready to tackle a rehabilitation center. The individual seeking treatment must be the one who calls. Parents, spouses, or other individuals cannot call for the one seeking treatment. Pyramid Healthcare accepts both in state and out of state patients. For all individuals, getting to the facility as soon as possible is essential. Many individuals want to try and get one more drink or one more fix before leaving for treatment which can result in a change of heart. Pyramid accepts individuals 24 hours a day, 7 days a week.